Forty-seven years ago, Paul Stine picked up a passenger in San Francisco, possibly near the intersection of Mason and Geary. Stine recorded the intended destination as the intersection of Washington and Maple, in the upscale neighborhood known as Presidio Heights. For some reason, the cab stopped one block further west at the intersection of Washington and Cherry. Paul Stine was twenty-nine years old, a student, and a husband. Driving the cab was paying the bills but he had other aspirations. When the passenger climbed into the cab shortly before 10:00 PM, Stine most likely thought that he would simply deliver the man to the designated destination, earn a little cash, and move on to the next fare. No one knows if Stine and the passenger talked during the drive. The man had experience deceiving people. Just two weeks earlier, the man appeared at a popular recreation area wearing a strange hooded costume featuring a white crossed-circle. The man approached a young couple and told them that he had escaped from a prison and needed money and a car so he could flee to Mexico. He reassured the victims that he just wanted to rob them and tied them up so that he could make his escape. He then produced a foot-long knife and stabbed the victims. When he was finished, the man walked over to the victim’s car and used a black marker to write a message on the passenger door. 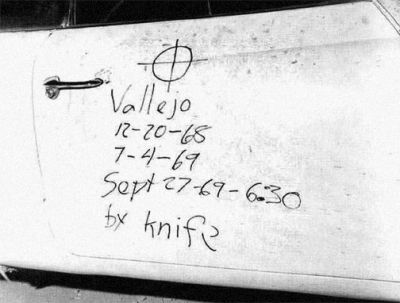 A large crossed-circle was followed by the dates of two previous attacks and the location “Vallejo.” Then, the killer added the date, the time, and words, “by knife.” He then traveled more than twenty miles to a payphone where he called police to report the crime. Paul Stine may have heard about the man who called himself “the Zodiac,” but he had no reason to suspect that the deranged killer was sitting in his cab. The passenger apparently waited until they reached the final destination to reveal his true purpose. The man took out a gun and shot Stine in the head. Across the street, some kids watched as the man handled the driver’s seemingly lifeless body. He got out of the cab and walked around to the driver’s side where he appeared to wipe the vehicle with a cloth or a rag. The man then walked away, taking with him a large piece of Stine’s blood-stained shirt. The crime appeared to be a routine robbery and murder until an envelope arrived at the office of the San Francisco Chronicle newspaper. The letter inside stated, “This is the Zodiac speaking. I am the murderer of the taxi driver over by Washington & Maple St. last night. To prove this here is a blood stained piece of his shirt.” The envelope did contain a piece of Stine’s shirt which established a direct connection between the writer and Stine’s murder. The Zodiac deviated from his previous pattern of attacking young couples in areas known as “lovers lane” spots. Paul Stine was a cab driver, working alone and just doing his job when he was killed in a residential neighborhood. The killer previously used his own car and attacked two couples sitting in parked vehicles. Paul Stine was driving his cab and he transported the killer to the scene of murder. 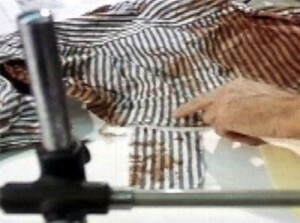 The killer had not taken anything from the other victims but he did remove a piece of Stine’s shirt. 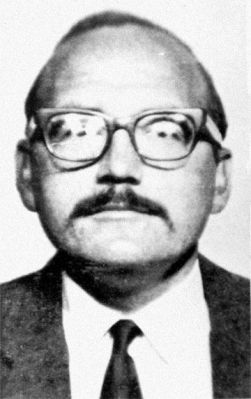 In subsequent letters, the Zodiac stated that he would no longer announce his murders and that he would disguise his crimes as routine robberies, killings of anger and fake accidents. 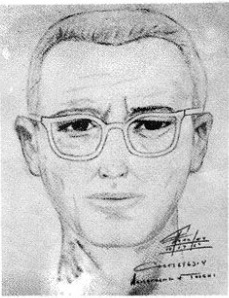 References to other victims fueled speculation that the Zodiac continued killing but authorities were unable to confirm any Zodiac crimes after the murder of Paul Stine. 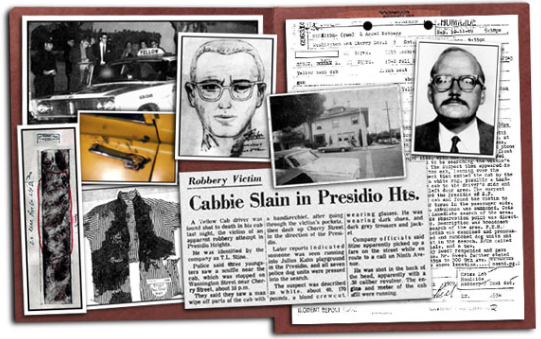 Other Zodiac mailings included more scraps of Stine’s shirt but the Zodiac apparently kept the still-missing piece along with the keys to the cab and Paul Stine’s wallet. Michael Butterfield is a writer and a recognized expert on the unsolved “Zodiac” crimes. He has served as a media source and consultant for news articles, television documentaries, and director David Fincher’s major motion picture Zodiac. Michael Butterfield appears in the Zodiac documentary Case Reopened and The History Channel series MysteryQuest. He has been a featured guest on Ireland’s Sean Moncrieff Show and House of Mystery with Alan R. Warren. He is also a contributing author for the eZine True Crime: Case Files, True Crime Magazine, and the two volume collection of essays titled A History of Evil in Popular Culture, both available at Amazon.com. Click on the links below to view official documents, photographs, police sketches, newspaper articles, videos and more about this unsolved case.